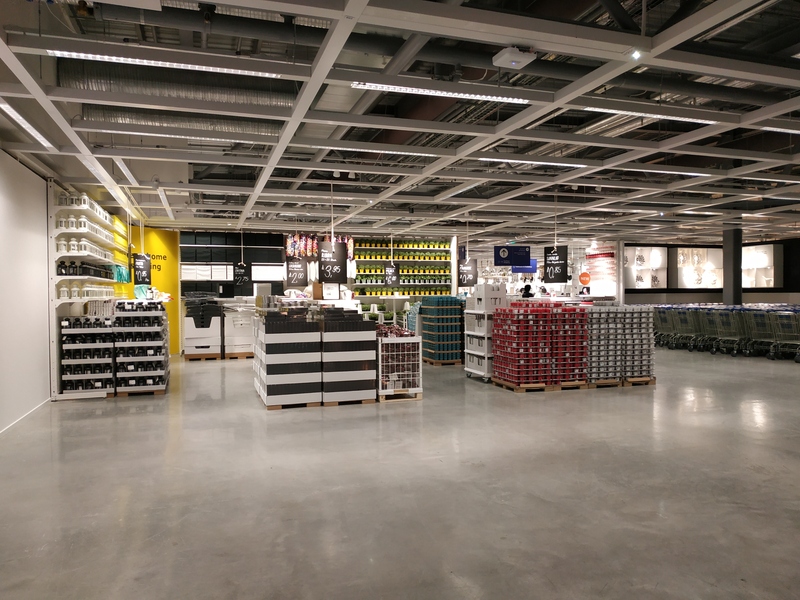 After years of expectation, excitement, worry and argument the new Ikea in Greenwich is finally here. I popped along to a preview event to see how it shapes up. This post will look at two things – the store itself and the surrounding area and changes made. Externally it’s a big blue box. Of course. One obvious difference is the roof terrace which allows views across London. It’s brilliant. Pics don’t do it justice but a near 360 degree view over London will be on offer. Upon arrival visitors can skip all the big furniture sections and head to a cafe by the entrance or upstairs for a larger restaurant if that’s your bag. Downstairs by the entrance is the famous 50p hot dog stall along with a food and drink section if you want to take meatballs home. 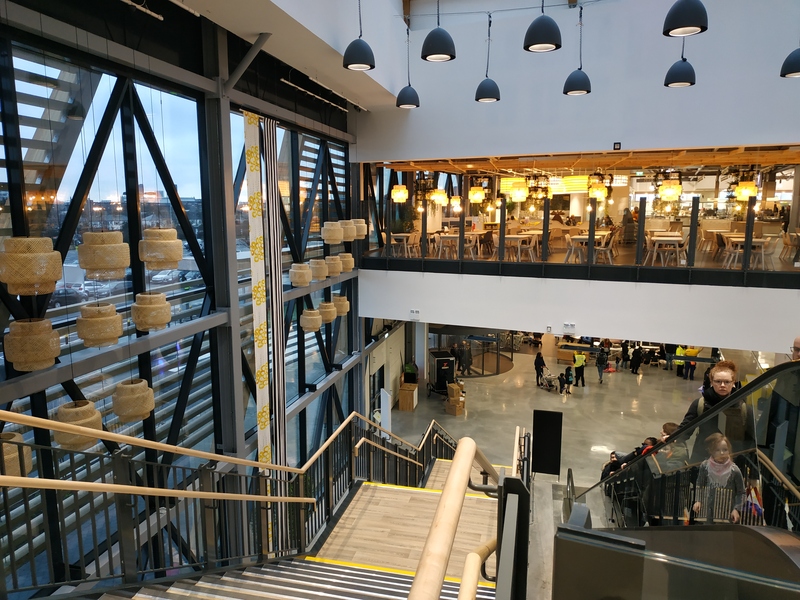 You can have free filter coffee or tea (with unlimited refills) upstairs, cheap food (fish and chips for less than a fiver for example – the same for salmon and salad) and then head up another floor to reach the rooftop viewing area. There’s free wifi too. This area will be very popular with students at nearby student halls and unis as a place to study. Who will mostly walk to the site – if they aren’t put off, but we’ll get to that shortly. My experience with other Ikea branches showed them to be popular meeting spots. I can easily see this being the same. They’ve thought of families too – the children’s area is great with books, tablets to play on, a microwave to heat up food or bottles. It’s a great space. Again, local families at places like Greenwich Millenium Village would ideally walk or take the bus. But I’m not really sure many will. 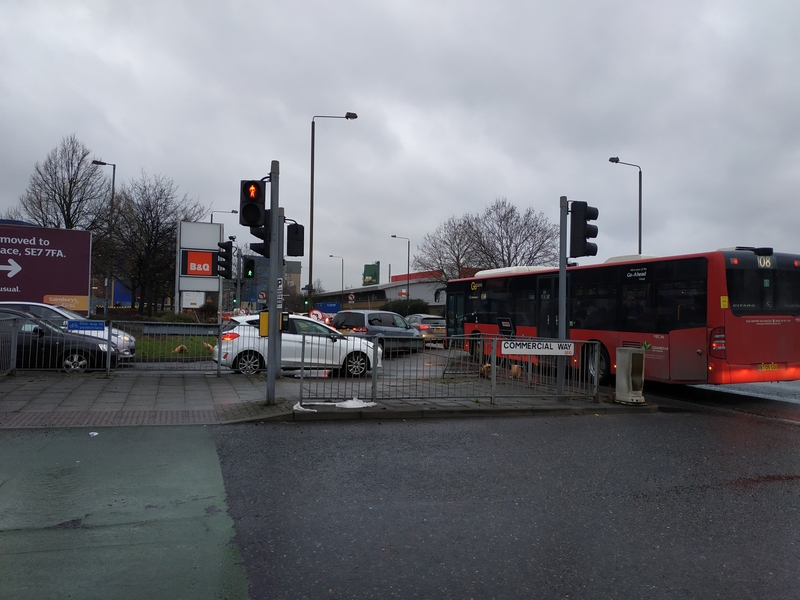 Would you want to take a buggy over dual carriageways with no crossing? A homeware section is near the cafe too so no need to head into the furniture sections. It’s super cheap too. Lots of small items people can carry home. It’s a common misconception everyone goes to Ikea for big items. The layout is suited to those who don’t want to. You can go in, buy some mugs, candles or whatever, have a cheap lunch and enjoy the view. 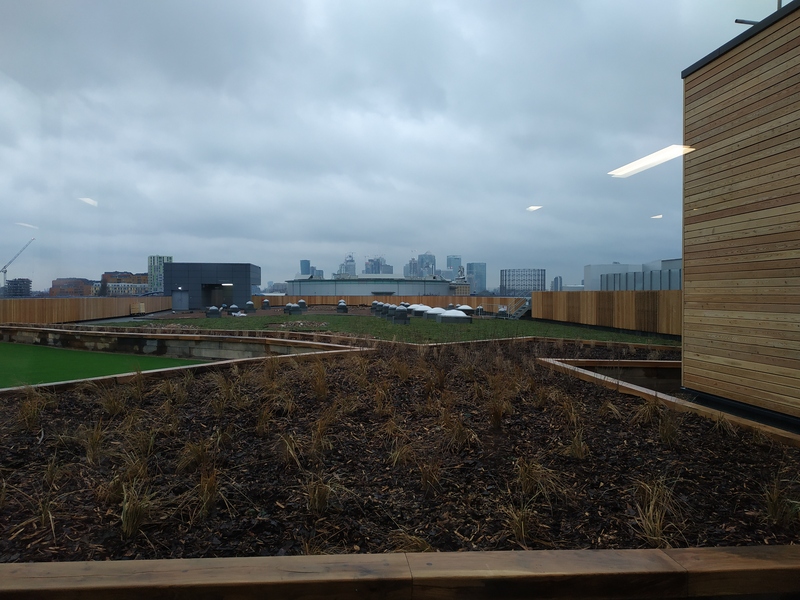 Ikea have gone big on sustainability in the PR – and Greenwich Council parrot that every step of the way. It is more sustainable than most big retail boxes – but that’s a pretty low bar. There’s discount bike delivery (the poor sods will have to sit in traffic breathing in fumes) but only for about 12 weeks and within three miles. That rules out parts of Woolwich, for example. Standard home delivery is £35. An electric van hire looks good at £15 for one hour or £25 for two – but given likely traffic levels two hours would be the minimum for many and then is it worth it? Most will drive. Effort has been made but ultimately it’s not “truly sustainable” in the meaning of being green. Here we have a 1980s-style huge retail shed in front of a vast car park in Zone 2 inner London. One that’s geared towards cars in a hugely polluted and congested area. It will induce massive amounts of traffic and really should have been mixed-use to alleviate housing pressures. Greenwich Council also go big on job numbers. True, many jobs have been created but a mixed-use scheme would have created more jobs and much needed new homes. All staff I met were great – and very friendly. Next we come to one of the most controversial points – access and traffic concerns. 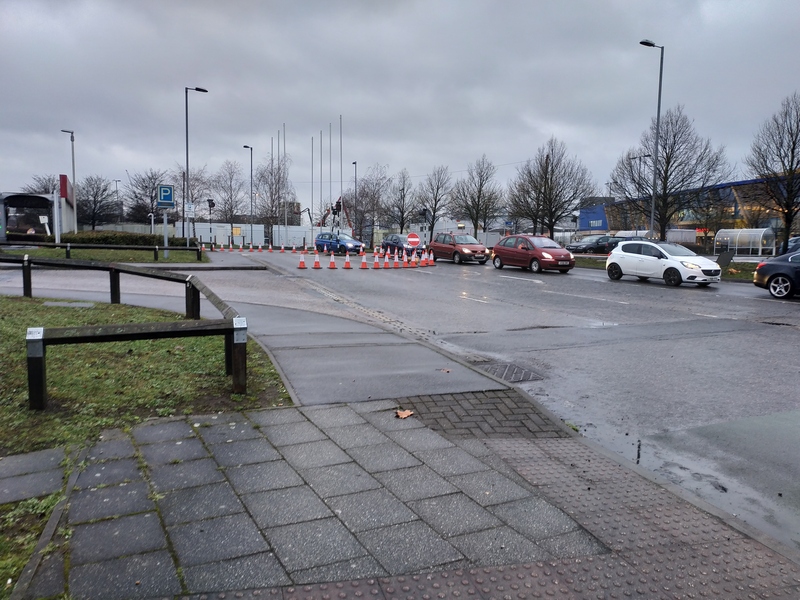 I covered the car park yesterday – it has had little in the way of modifications from when it catered for the former Sainsbury’s supermarket. However, a new one-way system is in operation by the petrol station entrance. I did what many wont do – and arrived by public transport. I sort of expected it but still found it incredible that absolutely nothing has been spent on improving walking links from Westcombe Park station. Not even a sign pointing the way to the store when exiting and emerging onto the public highway. 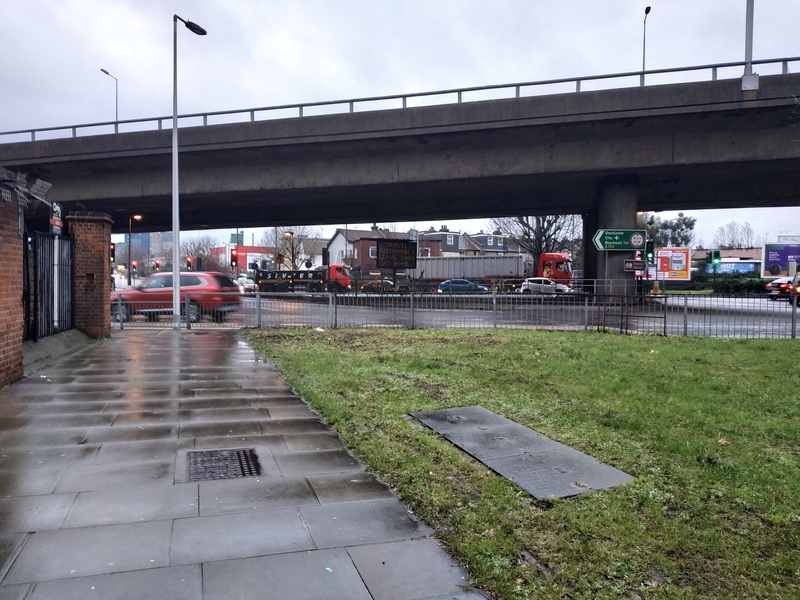 Access from Westcombe Park station to the site is crap throughout the entire walk. Always has been. Nothing’s changed. 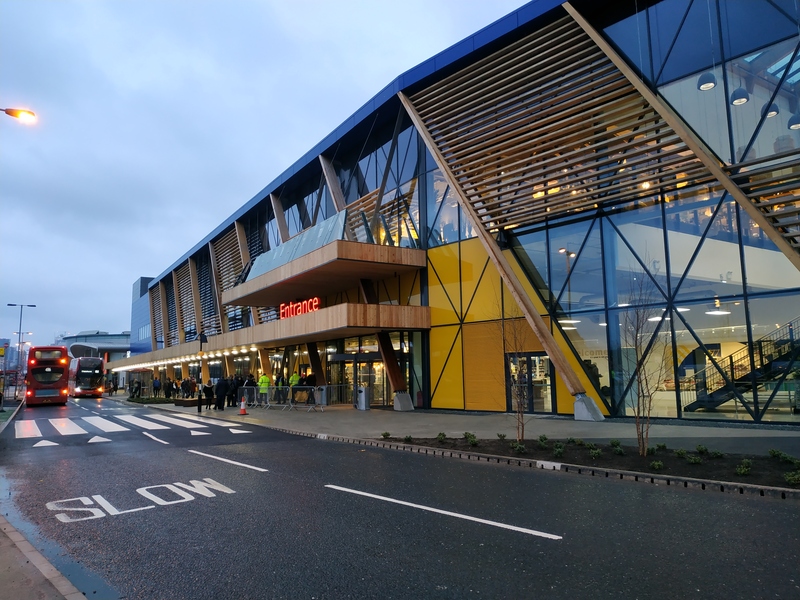 At no point did anyone think here’s a station with trains every 10 minutes, all day long, to many locations in London and Kent – and it’s just five minutes away from Ikea. Again, forget the people buying beds – they ain’t using a train. But the many who aren’t buying big items would consider a train if access was better. For one, the train is much quicker than a bus or car from many areas. 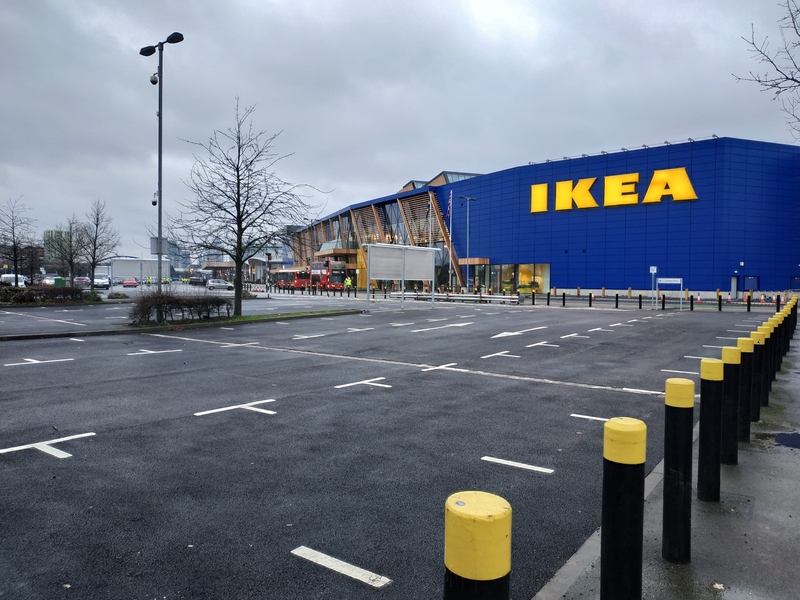 It’s a great shame nothing has been done given it’s a massive misconception people will only drive and confuses Ikea with a generic DIY store. 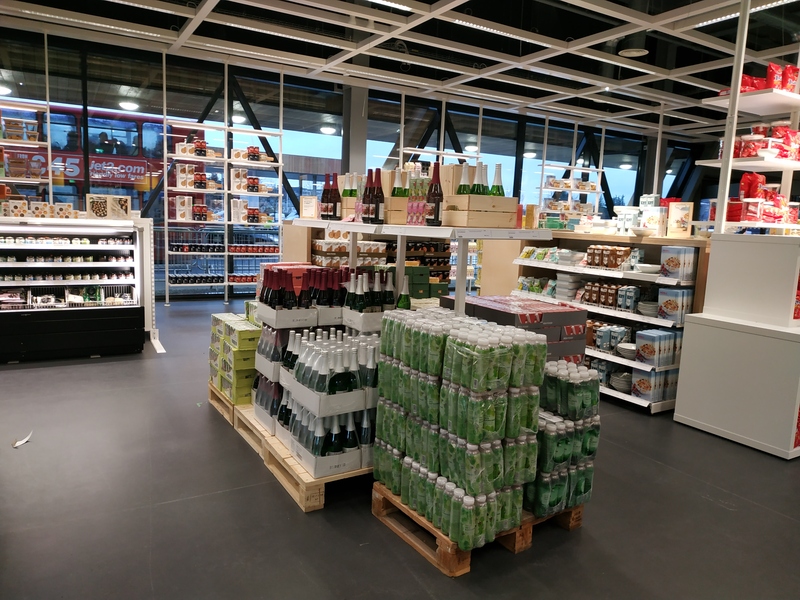 Whether it’s a full English breakfast and coffee for less than two quid, a 50p hot dog then a few trinkets for the home, Ikea are masters at creating an “experience”. 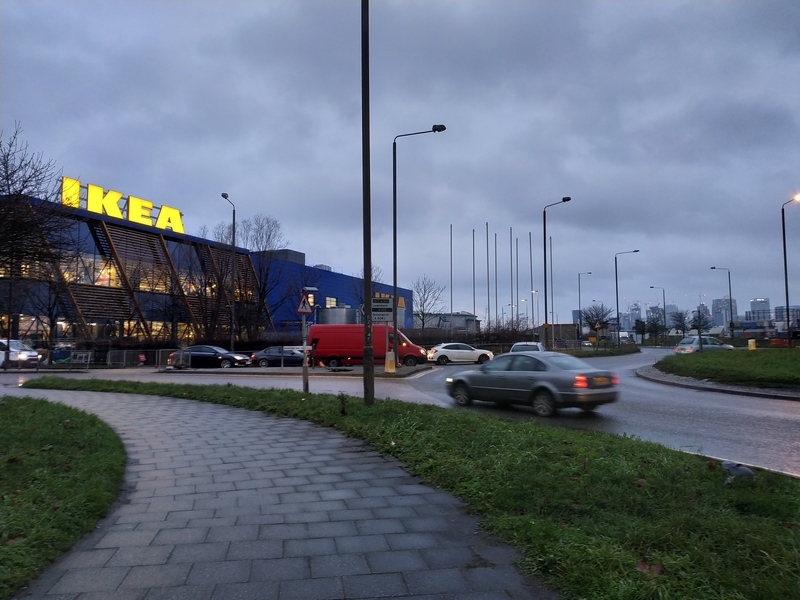 If we look at other Ikeas in London at least 30% of visitors can be expected not to use a car. A large number of people when looking at vast visitation figures. And Greenwich’s store is in a more highly populated and dense area than most. But who can blame people for driving? 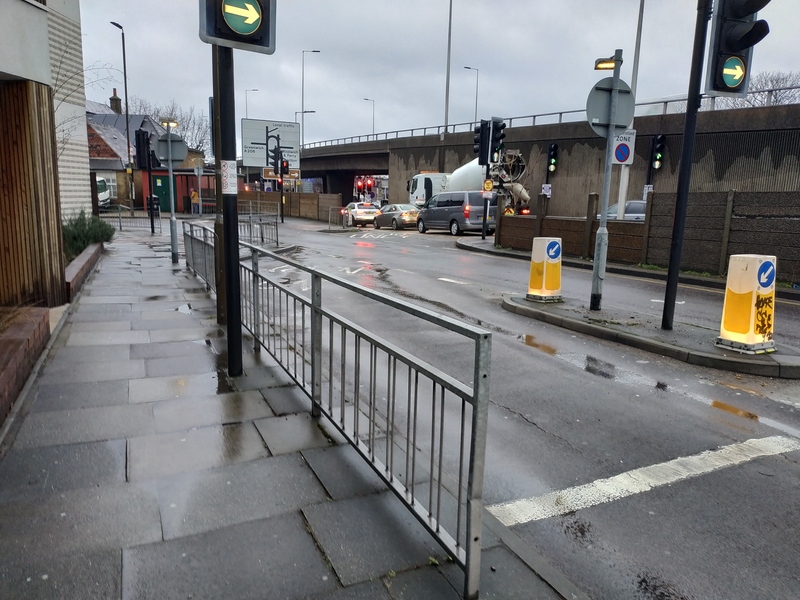 I’ll also add in the footbridge over from east Greenwich near the Odeon on the poor public realm list. Local people complain again it’s drab, dirty, dark and intimidating. Two out of four lights at zebra crossings are not working. 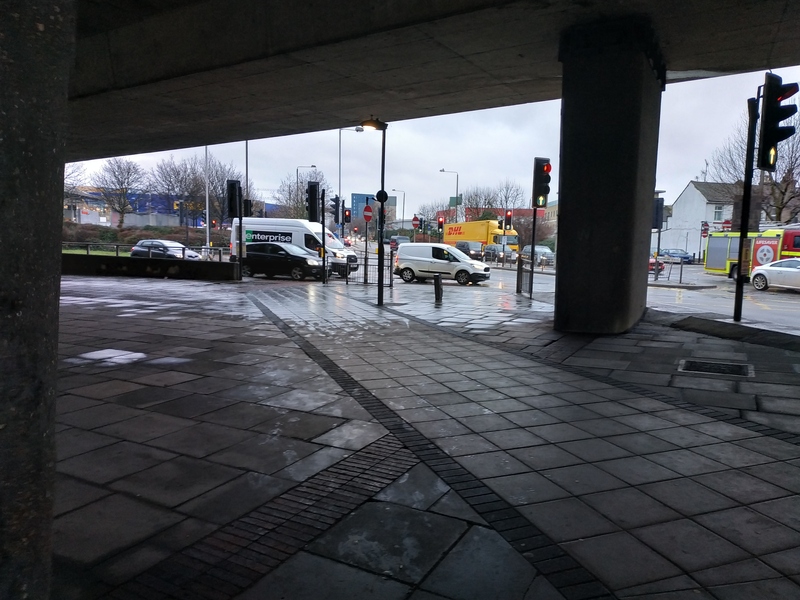 Let’s swing around and look at walking and cycling links from Greenwich Peninsula to the store. 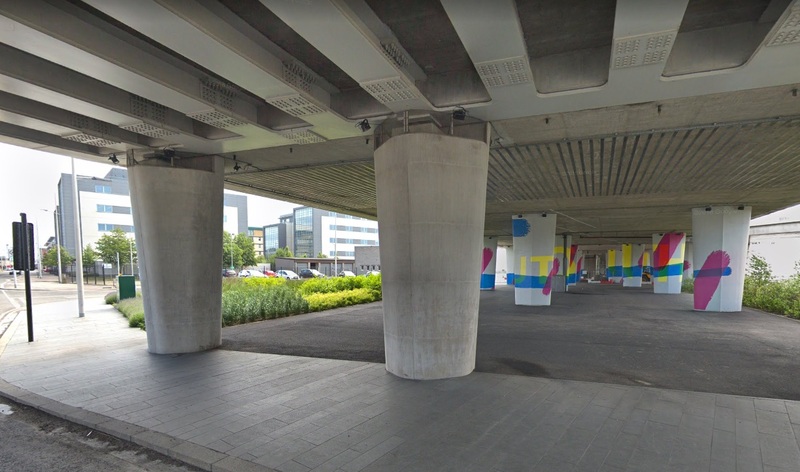 There will be 25,000 homes in the area once Greenwich Peninsula Masterplan is complete and another 10,000 at Charlton Riverside, and so many people will be within walking or cycling distance – and they will want to go for cheap food and an afternoon browse. Will local politicians raise this? It’s a massive oversight. There are no cycle lanes either in many places. The space is there to install them without removing road or paving. The store is actually opening later than planned and has been known for years. I really don’t know what it will take for the authority to wake up. No upgraded crossing to reach store and green area. Space for cycle lane here. So it’s a big fail when coming from east Greenwich AND the Peninsula on foot or public transport. Of course, buses do stop directly outside though many routes have seen, or will see, frequency reductions. Overall the store is great but the concept is dated. London needs homes. Land is a valuable commodity. This store harks back to the past instead of embracing contemporary thinking. Ikea (or other stores) could have been built as a mixed-use development. It could have included homes. They’d still be a big shop on site, they’d still be jobs but it would conform to all that sustainable branding by providing what we need most of. 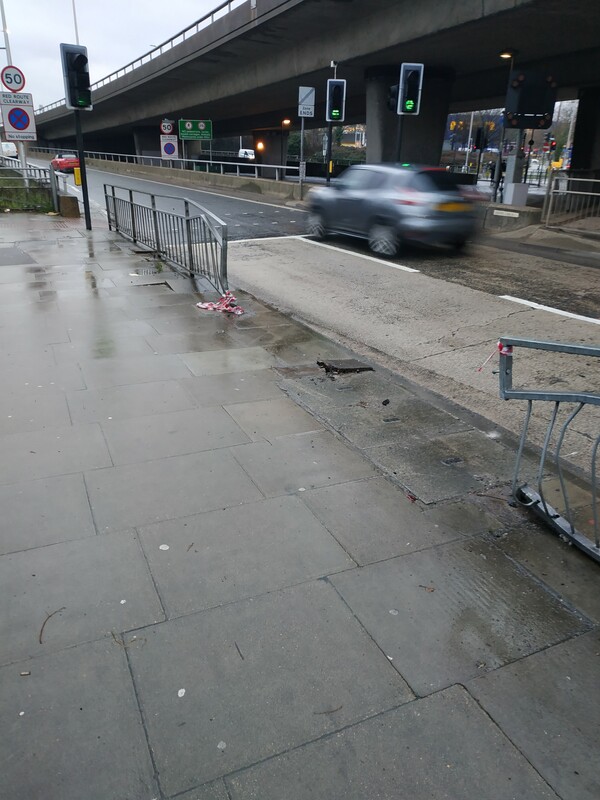 But we are where we are, and Greenwich Council really should have had a comprehensive package of public realm and pedestrian improvements in place by now. The store was delayed from late 2018 to a February 2019 opening. There’s no sign whatsoever of some things they agreed to do – and even that was extremely modest. I expected little. I saw even less. Many will drive to this store – and even as a big advocate of public transport and healthier living I can’t blame them whatsoever. For a borough listed at 27 out of 32 for obesity and which saw a marked increase in road collisions last year, plus high levels of pollution, this is dire stuff. But really, who expected better? Sustainability of public transport, 01/02/2019@18.00hrs including myself yesterday four customers that attend the preview day waited at the bus stop for route129 heading towards Greenwich Town Centre. Two buses129 were not full and even though we put out arms out to request these two buses didn’t stop at the newly reopened stop just passed the exit of Ikea. The only way to get the 129 buses was go the stop outside the Oden to ensure that bus129 would stop. Eventually we got on the bus129, asking the driver if the next bus stop was open he said yes, so there is a breakdown in getting the message across to the bus drivers that this stop is in operation. There were some but not all bus drivers were stopping at this newly reopened bus stop. GMV resident here. Shocked (not shocked) that links between us and the store aren’t in place or apparently even started. In the Peninsula we’ll just run over the road dodging lorries then. Only joking – we’ll drive or get on overcorwded buses adding to the pressure. There really was a big push to get to this stage. I was out there only a couple of weeks’ ago and the site was still crawling with construction workers and the carpark covered with portable cabins. I look forward to a visit when all the fuss has died down and by then TfL should have got the drivers to halt at the designated stop. No more schlepping out to the Purley Way. Hooray. 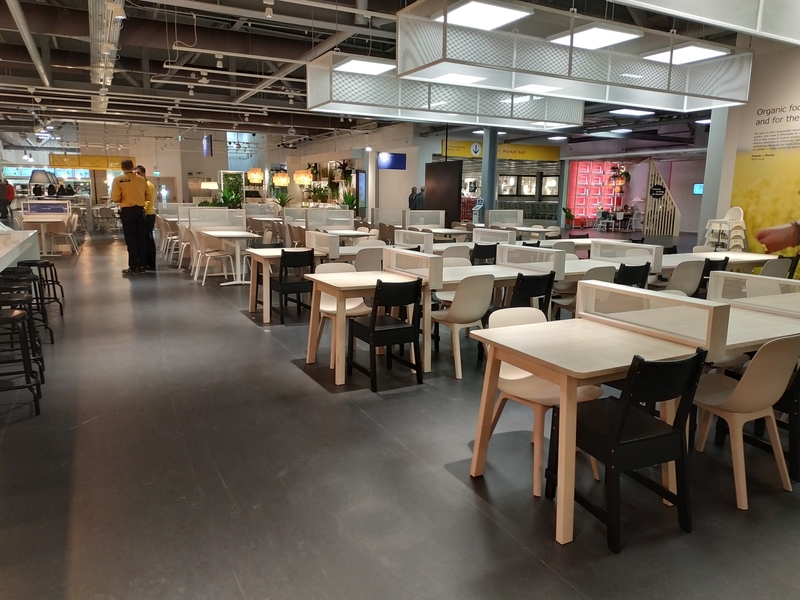 By the way, this IKEA is in zone 3, as is most of Greenwich SE3/SE10. 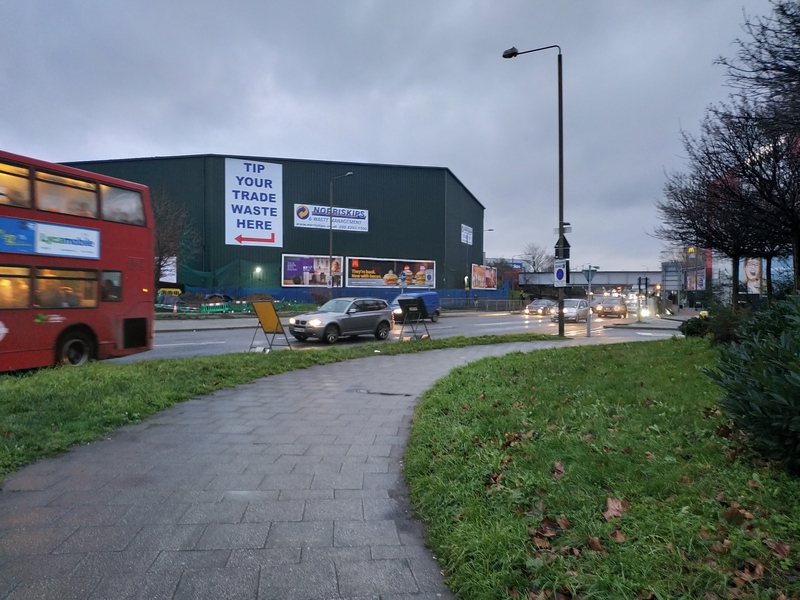 The best walking route from Westcombe Park station is to use the footbridge across the A102 and then walk down to the light controlled crossing on Woolwich Road. The idea of walking over that footbridge scares me rigid. I grew up in Humber Road and as children, we played everywhere but never did we cross that bridge. I went out to IKEA again today via the 180, and got off the bus at East Greenwich Library for the walk to the store. It was still early, but I must confess that I was a ittle nervous negotiating the crossings. I put it down to encroaching old age and bright sunlight. By the way, some buses are stopping at the stop outside IKEA whilst other drivers are making it up as they go. The lighting on the bridge has been improved. Safer walking route than under the flyover. Stupid Stupid and then more stupid, the thought of East London now all coming through the Blackwall Tunnel to go to their nearest Ikea! 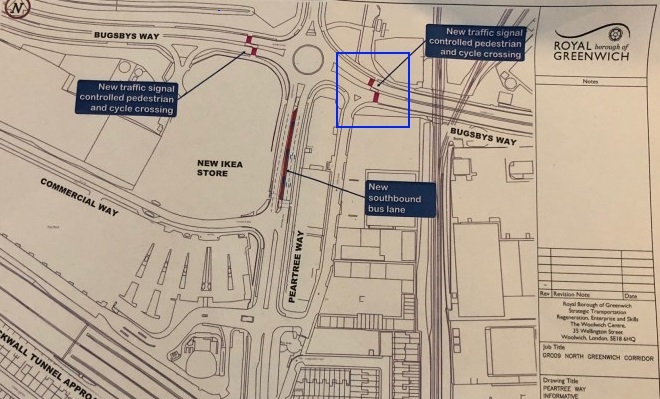 It’s bad enough as it is getting through, now it will be gridlocked, we will also now probably lose the B & Q as there slowly pushed out of business as people will be happy to pay £9.99 for a rechareable screwdriver which after one use will end up in landfill! I’m a bit biased, as I work there but it really isn’t that hard to get there by public transport. I agree some signs would probably be helpful – but you can actually see the store from Westcombe Park station. I agree with Cris L, the walkway is the fastest and easiest way from the station. I use the bus or the train, depending on what’s coming up first – I’ve not been late so far. 😊 And that’s coming from Erith. I would love for the area to get some love though, because, yes it’s a bit gritty. But I wouldn’t agree it’s hard to get to by public transport. Will take a few months to see how well/badly we’re doing. If it turns out we’re leaning towards badly, I would hope there will be changes made. Anyway, thanks for your pros and cons and I really, really hope people will surprise you. Only time will tell. 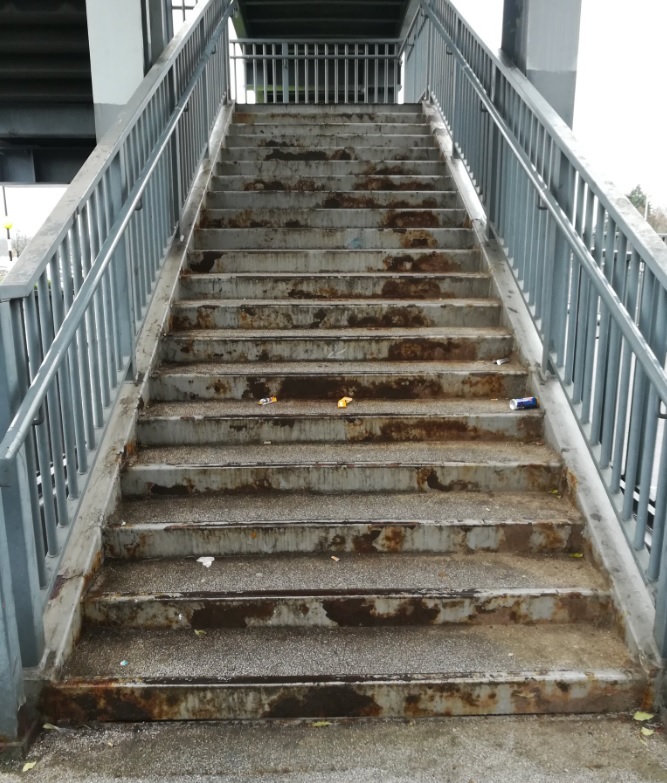 Is the walkway accessible with buggy or is it all stairs? And on that note, is Westcombe Park wheel friendly?